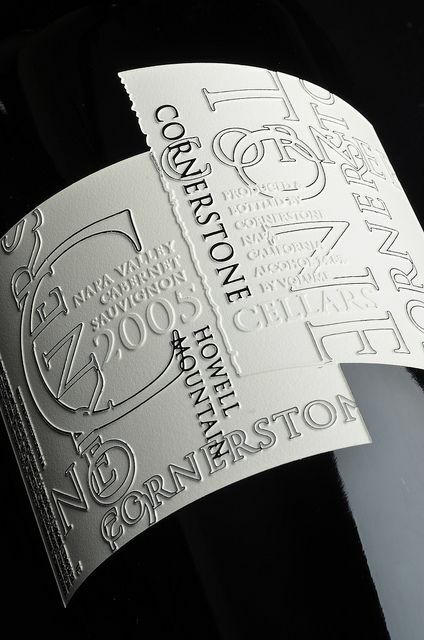 Do you know what sets Etched Images apart from other wine bottle decorators? It's not just the unmatched quality of our hand-etching and hand-painting on wine bottles, or the fact that we are the source for North America's most popular dipping wax, NoChip Dip! Take a look at all of the services we offer, and you will quickly realize that Etched Images is the one-stop shop for your bottle decorating needs! 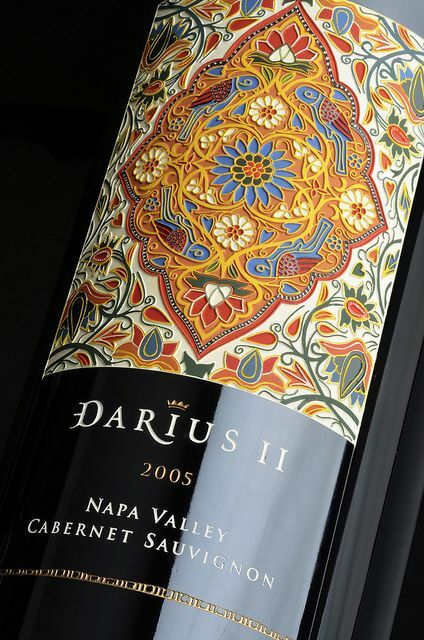 Etched and Painted Wine Bottles are the product of skilled artisans using hand-crafted techniques perfected by Etched Images over the past 22 years. NoChip Dip®, for a distinctive wax-like finish. A custom engraved bottle of wine with your logo makes a beautiful and personalized corporate gift. In addition to selling NoChip Dip® by the pound, we can also take care of the dipping process for you! This process simulates a full-bottle of red wine and is a very practical, cost effective marketing tool. Have your art reproductions, portraits and photographs printed onto canvas and adhered to an etched recess in your bottles! 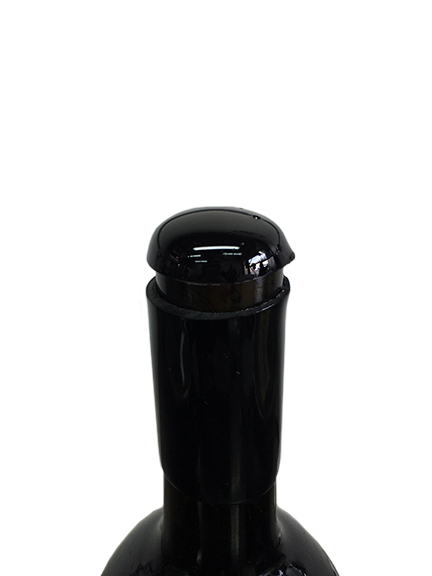 We can provide you with wine bottles, corks and shippers all the way up to 18 liters in size! Do you have a small run of regular or large format bottles, but don't have the equipment conveniently at hand? Leave it to Etched Images! We'll cork those bottles for you. If dipping in NoChip Dip isn't appropriate for your project, we can spin capsules onto your .750ltr bottles for a professional appearance. Leave the final touches of your product to us. We can individually wrap bottles in tissue paper, package the bottles into customer-supplied cardboard or wood boxes, and label each case with your SKU numbers. We can also ship NoChip Dip internationally! We provide 60° refrigerated protection for your wine! 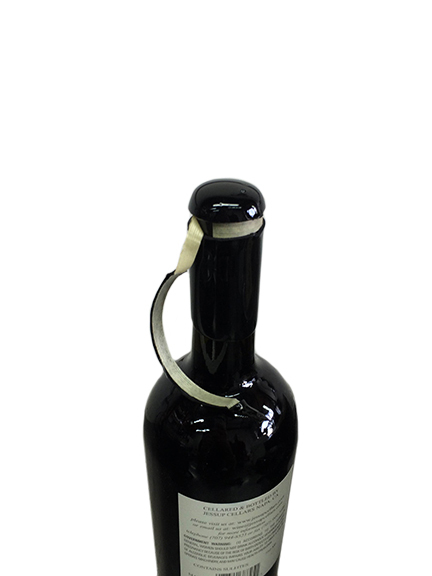 Etched Images is your one-stop-shop for etched growlers! Quintessa - So Proud of our Artisans! Opening bottles dipped in NoChip Dip is easy - just drive the corkscrew directly though the wax as you normally would! This beautifully shot video, entitled Big Bottles, is filmed and narrated by photographer and wine aficionado Bob Barclay. The detailed segment thoroughly explains the precision, concentration, and intricate care that go into creating these fine works of art. 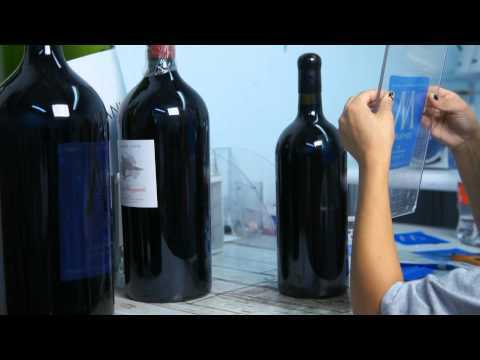 This video provides an overview of the labor-intensive process that your bottles go through while being beautifully etched and hand-painted by the talented artisans at Etched Images in Napa, California. 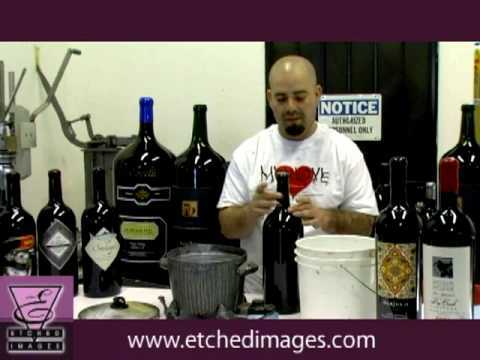 Carlos from Etched Images shows the proper technique for dipping the neck of a wine bottle into Etched Images' proprietary NoChip Dip dipping wax. We are a long-time Napa-based company doing business worldwide and one of the wine industry’s leading bottle etching specialists, looking for someone to join our Production Team as a Warehouse Associate. Compensation is $13 – $15 per hour DOE; 8 hours per day, Monday – Thursday. Holiday pay and 3 Sick Days. 1-week vacation after 1 year. 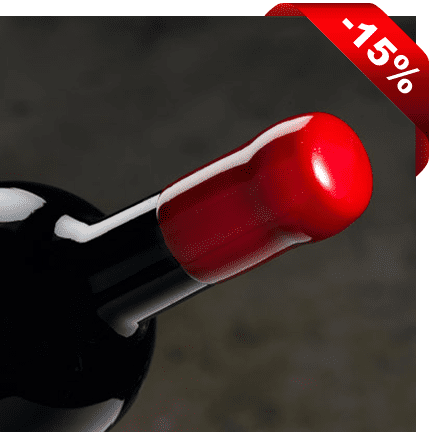 Create a buzz in your tasting room or with your wine club by displaying large format bottles in your tasting room and featuring them in your club newsletter. 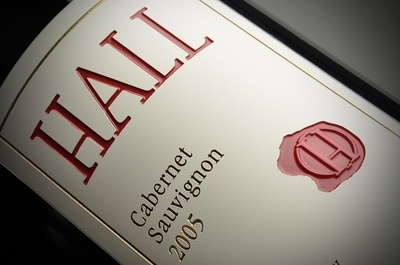 Each step of our unique wine bottle etching and painting process varies on the complexity of a given wine label. There is more than one way to replicate a wine label from simple (lower cost), to complex (higher cost), to very complex (highest cost). That’s why it is important for us to get a feel for your budget before producing a cost quotation. Wine has been called liquid art; at Etched Images, our goal is to create works of glass art that reflect the quality and uniqueness of the bottles’ contents. Our artisans carefully deep wine bottle etching and hand paint your bottles with your logo, label or message, to create a lasting impression. Established in 1992, Etched Images has earned a reputation for high-quality design execution, workmanship and service. 1992 also marked the year we introduced our innovative dipping wax, NoChip Dip®. Another early innovation, developed by David Lincoln, was a process for blackening bottles. 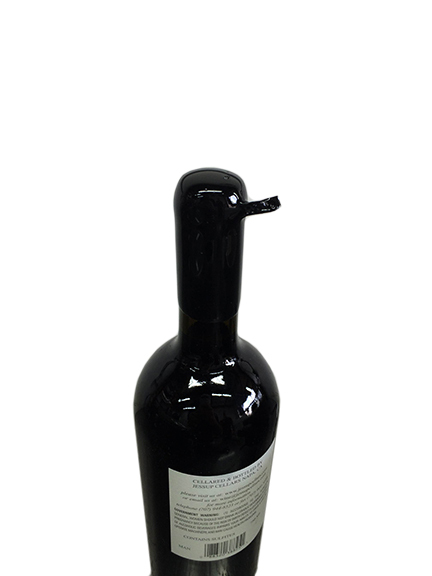 Simulating a full bottle of red wine, a blackened bottle is a cost-effective marketing tool. Staffed by skilled technicians and artists, Etched Images has in-house capability for, computer-enhanced design, with coloring and waxing techniques seldom found in standard etching organizations. We are truly proud of our relatively small but handpicked staff and our great reputation! Hand-etched and painted wine bottles Skilled artisans. Hand Etched and Painted Wine Bottles are the product of skilled artisans using hand-crafted techniques perfected by Etched Images since 1992. Your wine label, logo or artwork etched on your wine bottle for a memorable and distinct impression! The process we invented to give display wine bottles a filled appearance. 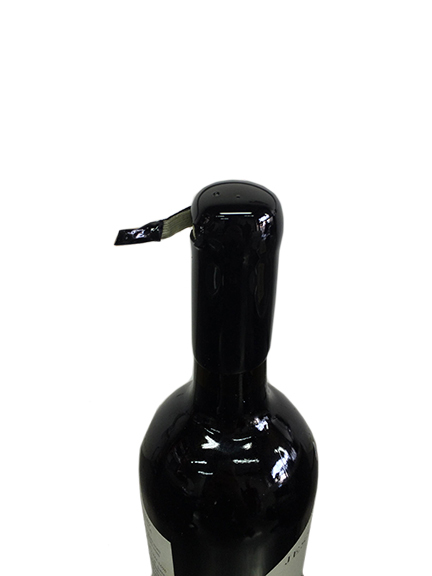 Our internally blackened bottles simulate full bottles of red wine and are a very practical, cost-effective marketing tool. 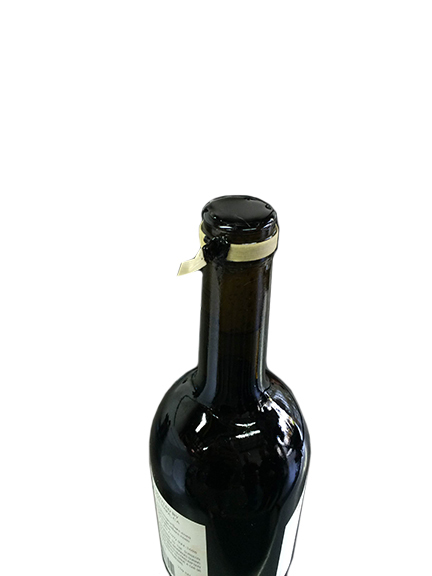 Unlike full bottles of wine, blackened display bottles have an unlimited shelf life. A U/V resistant coating on the inside of the bottle also makes them resistant to sunlight. Weight is minimized drastically reducing shipping costs. NoChip Dip® – Nineteen (19) colors, including five metallic colors LowTemp Dip® – Six popular colors. We can dip your bottles or sell you NoChip Dip® by the pound. We also offer tear tape application and wax capsule stamping. As the source for North America’s most popular dipping wax, no one has more experience at dipping wine bottles and beer growlers than us. We can dip your bottles in any of the 20 available colors, and in several different dipping, styles to complement the look of your bottles or label. If you have any questions about dipping your bottles in NoChip Dip™, complete our “Start a Project” form, or call us at 707-252-5450. With rare exception, our labor-intensive process does not lend itself to hand-etching and hand-painting thousands of 750ml bottles. Depending on the complexity of the artwork, pricing begins at $16.00 each for an order that exceeds 289 750ml bottles. That is why it is unlikely that you will see our craftsmanship on grocery store shelves. Etched Images has earned a reputation for high-quality design execution, workmanship and service, thus positioning the Company as a market leader. Order now! Offer valid until 02/28/2018. Etched Images is the foremost leader in wine bottle wax dipping, enabling each and every bottle to radiate with a luxurious shine. 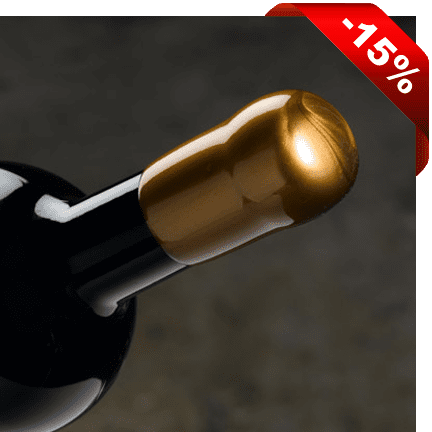 Our custom dipping wax never chips or flakes, and unlike the other dull-looking bottle waxes on the market, our hand-dipped wine bottles shimmer with eye-popping personality. Order now! Offer valid until 01/31/2018. Etched Images' New Online Shop is Now Open! It's been a long time coming, but our new online store is now open! After a complete redesign of our website by the talented folks at DesignThis!, we've been working hard on configuring the new online shopping experience, and we're proud to say that it is vastly improved over our old shopping cart and checkout experience. You'll find the new system much more intuitive and user-friendly. From our new store, you can order the best-selling NoChip Dip®, LowTemp Dip®, Dipping Wax Starter Kits, Melting Pots, and more. As before, we need to limit online wax orders to 40 pounds, so for larger orders you'll need to place your order by calling Andrea and (707) 252-5450, or emailing her at andrea@etchedimages.com in order to get the best price. The same goes for international orders. We invite you to visit our new store by clicking here, take a look around, and then let us know what you think! 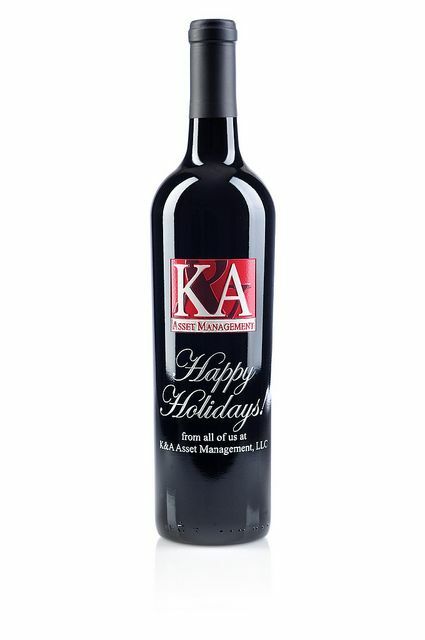 The time is fast approaching to place your orders for holiday bottles. 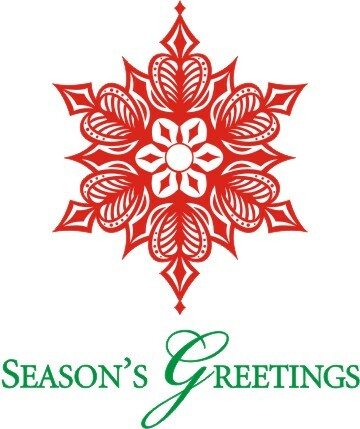 As you may have guessed, this is the beginning of a very busy time of the year for us, so don't delay. Etched bottles of wine make fantastic corporate gifts to thank employees and customers for the previous year. 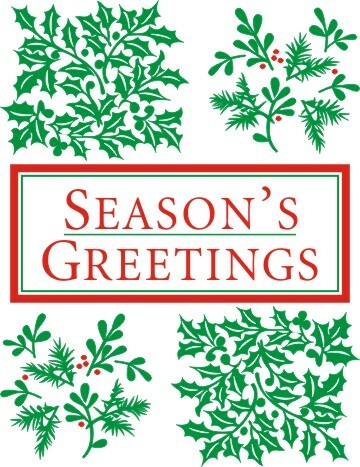 Of course, we've also got a selection of holiday artwork for you to choose from that we can add your name and custom greeting to, giving you a truly special gift that the recipients won't be forgetting any time soon! These are only two of many options, so be sure to call us today at (707) 252-5450 to discuss your needs, and we'll find something that will work for you. Of course, orders consisting of larger bottles and/or those painted with more than one color will need to be custom quoted, so be sure to email Andrea at andrea@etchedimages.com and let her know what you're looking for. Etched Images Launches New Website! Etched Images is proud to introduce our redesigned site, created by the talented folks at designthis!. Unfortunately, the new online store isn't quite ready to be opened up to the public yet, but we promise that the wait will be worth it. The entire shopping and checkout process will be much more user-friendly than the old system, and we're sure you'll enjoy using it. Until then, take a peek around the new site and let us know what you think! Please call Nancy at 707-252-5450 to place an order! It's that time again! 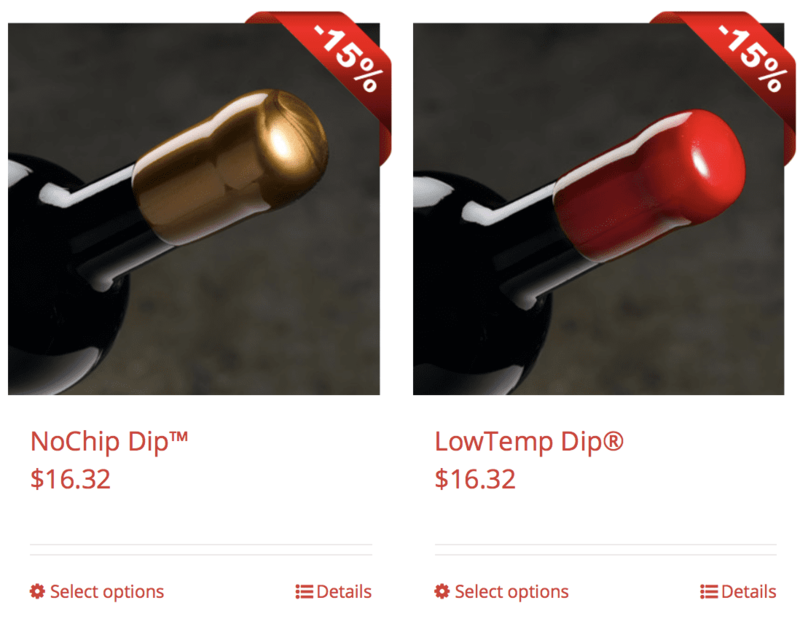 For the month of June, we're offering special pricing of 15% off on NoChip Dip™ and LowTemp Dip™! To receive this special pricing when ordering online, enter the discount code "EIN15" in the box on the shopping cart page during checkout. Alternatively, if you would prefer to call your order in, call Joanie at (707) 252-5450, or email her at joanie@etchedimages.com and mention this special offer to receive the discount. Note: when ordering quantities greater than 40 pounds, your order must be called in to receive the proper price breaks. Be sure to watch our video on YouTube that provides a quick tutorial on the techniques that will provide you with the best results. Don't hesitate to contact us with any questions, to schedule a tour, or to place an order. Etching before bottling? Now is the time to place your order! We've just got a quick note this month to let everyone know that now is the time to place your etched bottle orders if you would like to have them completed before bottling in August. As you may imagine, this is one of our busy periods, so be sure to get your orders placed as soon as possible to ensure you don't miss out! Speaking of etched bottles, have you been to our Pinterest page yet? We've got a selection of some incredible photographs (with more coming soon!) of some of the beautiful bottles that have been hand-etched and hand-painted at Etched Images. Be sure to check out our Pinterest page to see more pictures like these, and follow us to stay up-to-date with the latest pics to be added soon! 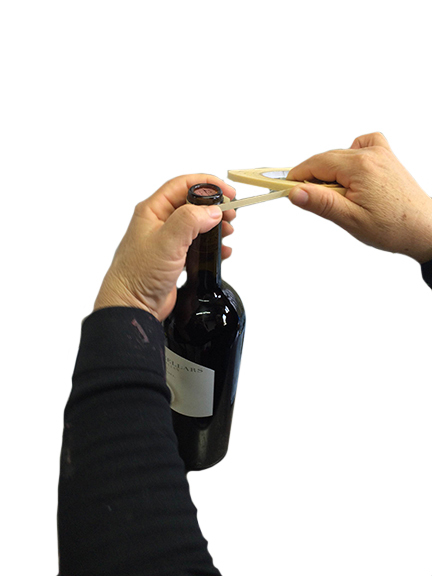 Are you using NoChip Dip or LowTemp Dip with your bottles, and looking for an even easier way to open the bottles? 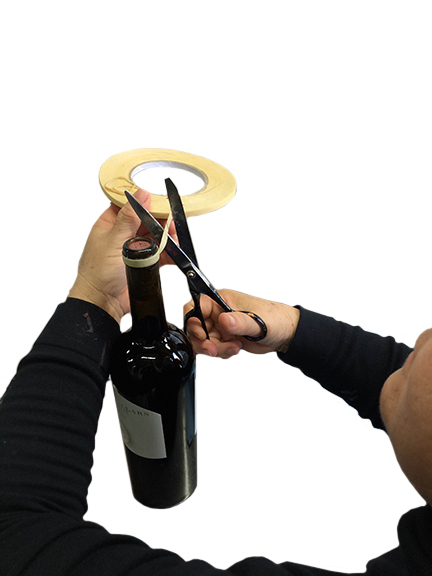 Many of our customers find that driving the corkscrew directly through the NoChip Dip and then using it as normal works great to open bottles, but if you're looking for another option, we also sell a custom-made tape that allows you to create a little "pull tab" that can remove the NoChip Dip from the top of the bottle like a zipper. Take a look at these pics to see what we're talking about. First, two to three layers of the tape are wrapped around the top of the bottle, then the tape is cut with approximately one inch of tape left unwrapped. Next, when the void above the cork is filled with NoChip Dip in preparation for dipping (a normal step in the dipping procedure), a small amount of wax is spread into the "Y" where the tail of tape creates the pull tab as seen in the picture on the left. The bottle is then dipped normally, creating the easy-to-use pull tab as seen on the right. When the bottle is ready to be opened, you simply grasp the pull tab, and unwind the tape, cleanly separating the NoChip Dip from the bottle. 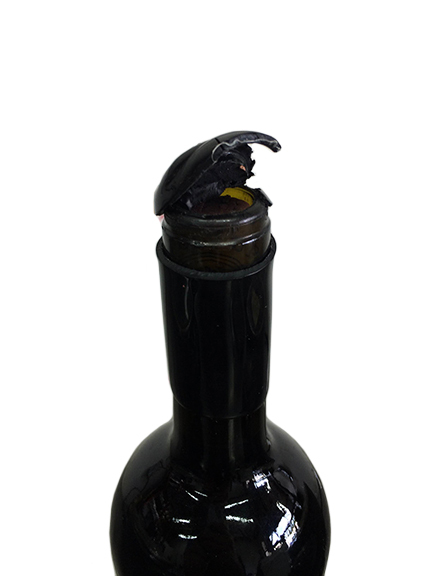 The piece of NoChip Dip left on the top of the bottle can be pulled off easily, granting access to the cork below! If you're interested in trying Tear Tape with your next dipping project, you can order it from our online store here, or you can email Joanie@etchedimages.com or call her at (707) 252-5450.